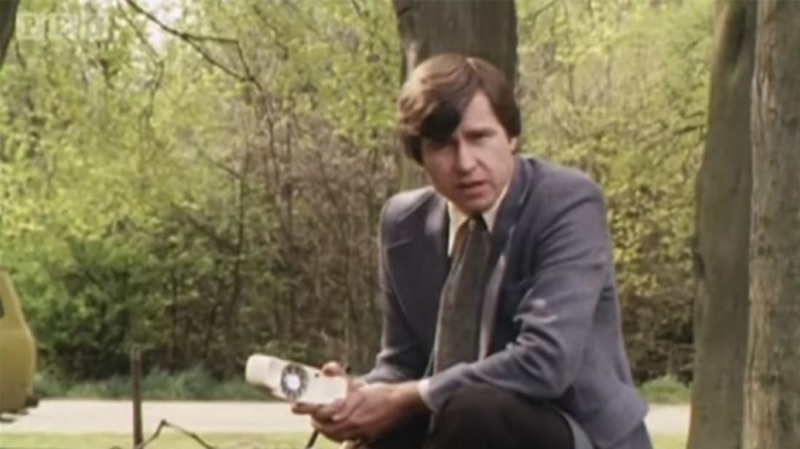 In this classic clip from the BBC show Tomorrow's World, presenter Michael Rodd makes a phone call using a prototype mobile phone. It aired on September 13, 1979. At that time, mobile phones—at least in the U.K.—were typically radio links to an operator, who would do the dialing for you. It was less like using a phone and more like raising someone on the radio to set up a phone call for you. In the clip, we see a device in which the primary innovation is the ability to dial your own numbers—using a rotary dial!—so that the caller is in control. Indeed, at the end of the clip, Rodd is shown in an outtake accidentally dialing a wrong number (perhaps the first mobile wrong number he had ever dialed). For more Tomorrow's World clips, check out this massive BBC collection. Also, keep in mind that NTT deployed the first cellular telephone network in Tokyo in 1979—that technology was substantially beyond what you see in the U.K. video above!